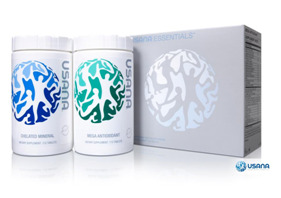 Save Your Skin | Your Health. Your Lifestyle. Get out there and enjoy sunny days when you can — but protect your skin, even when it’s cloudy. You can dramatically reduce your risk of skin cancer by practicing simple sun–safety habits every day. 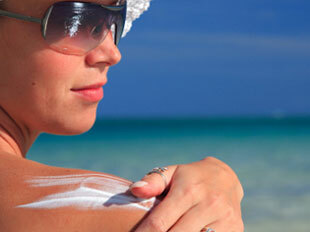 Ultraviolet (UV) rays are the most common culprit when it comes to melanoma, according to the American Cancer Society. In addition to avoiding unprotected exposure to sunlight, skip the tanning lamps and beds — they’re a known risk for skin cancer. Slip on a shirt. The less skin exposed, the lower your risk. Slop on sunscreen. Choose a product with SPF 30. Apply it at least 30 minutes before going out in the sun, and reapply it every 2 hours or sooner as needed. Most people don’t use enough sunscreen — go ahead, slop it on! Slap on a hat. Wear a wide–brimmed hat to protect your scalp and face. Wrap on sunglasses. Protect your eyesight by preventing long–term exposure to UV rays — which can lead to serious eye problems such as cataracts or macular degeneration. Select sunglasses that block 99%–100% of UV rays.